Lewis Orchard has been carefully conserving the structure and interiors of this unique building for the past 12 years. This house and bake-house was built for Stephen Steere in 1805. It is a unique design which combines cobbled and mathematically tiled frontages with a later shop front circa 1860. Unusually, much of the original building survived, distressed but unaltered, alongside a unique record of interior decoration which includes original mouldings, paints and wallpapers. 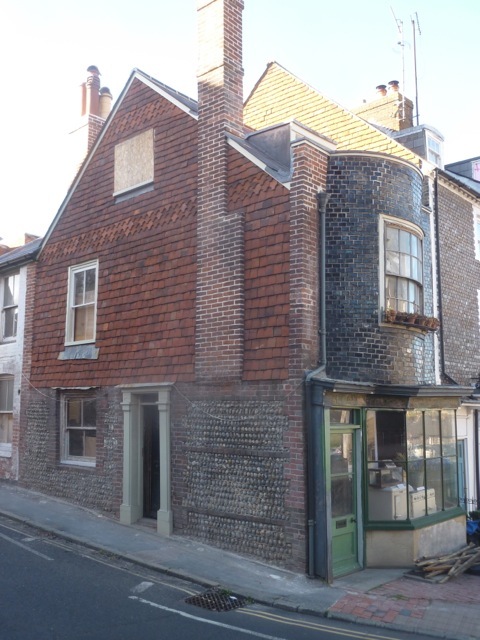 As conservation work nears completion, Lewis will talk about the history of the house, its occupants, and what conservation and research has revealed about them and their home.